It was REALLY raining hard. Now, we have to figure out stuff to do inside with a kid who wants to be OUTSIDE. 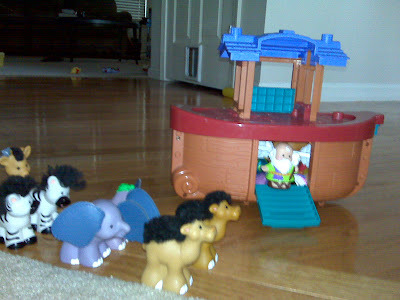 Maybe I'll try to explain to her why her Fisher Price camels have Afro's.